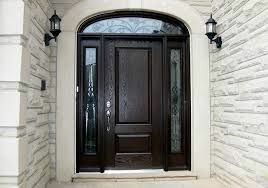 Want Custom Front Doors in Sarnia for Your Home? Call Today! KD Exteriors carries the Weiser® line of door hardware and finishes. KD Exteriors is a supplier of Dorplex, a leading manufacturer of insulated steel doors since 1987. Dorplex can custom manufacture doors to suit your needs.
" Always awesome to deal with fast honest professional service. Will deal with again! "